Norfolk Southern Corp. (NSC) Position Lifted by Valley National Advisers Inc.
Gentex Co. (GNTX) Shares Sold by Principal Financial Group Inc.
Exelixis, Inc. (EXEL) Shares Sold by Principal Financial Group Inc.
Ford is launching a few new initiatives to make its vehicles more connected than ever before. The company has announced new plans regarding linking its cars to smart home systems, autonomous driving software, and drones. Ford’s projects will put the company on the cutting edge of car connectivity. With one project, Ford is working to connect its Sync in-car communications system with smart home packages. This would allow drivers to control smart home systems and security systems from their vehicles, as well as stop, start, lock, and unlock their car from the comfort of their home. There is great commercial potential in linking in-car communications systems with smart home packages. Half of consumers report that they intend to buy at least one smart home product in the next year. 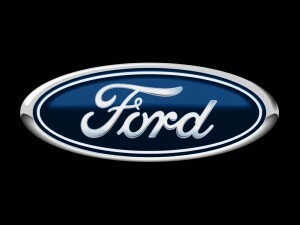 Ford’s Sync system currently runs in 15 million vehicles around the world. The company is predicting that number will rise to 43 million in five years. The company’s project to integrate its Sync Connect with Amazon Echo would provide voice-control access between the car and home by allowing the driver to access Alexa through the steering wheel-mounted voice-recognition button. It would also let the car owner check the car’s fuel levels or start the car from inside the house. Ford has also announced plans to expand its autonomous car program. Ford’s fully autonomous cars are due to take to the streets of California this year after already being tested at its proving grounds and on public roads in Michigan. Ford said it will be tripling the number of autonomous research vehicles it has from 10 to 30 this year. The objective is to test the computing and sensor components required for fully-autonomous driving. Ford has also announced a new developer challenge requiring developers to create drone-to-vehicle communications. Developers will have to create a system using Ford’s AppLink or OpenXC technologies that will allow a driver to launch a drone from the bed of a Ford F-150 from the touchscreen inside the car. The goal is to establish a real-time link between the drone, the truck and the cloud. The winner of the challenge will receive $100,000. Valley National Advisers Inc. Buys 441 Shares of Provident Financial Services, Inc.
Norfolk Southern Corp. Position Lifted by Valley National Advisers Inc.